Here’s the post so many of you have been waiting for! 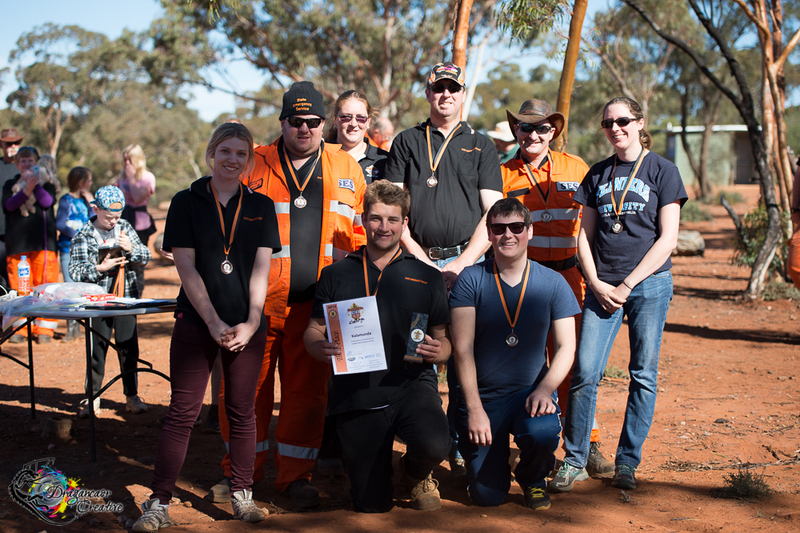 Once per year, during the ‘Western Australia Day’ long weekend, the Western Australian State Emergency Service hold the Goldfields SES Challenge at a different location within the Goldfields region. 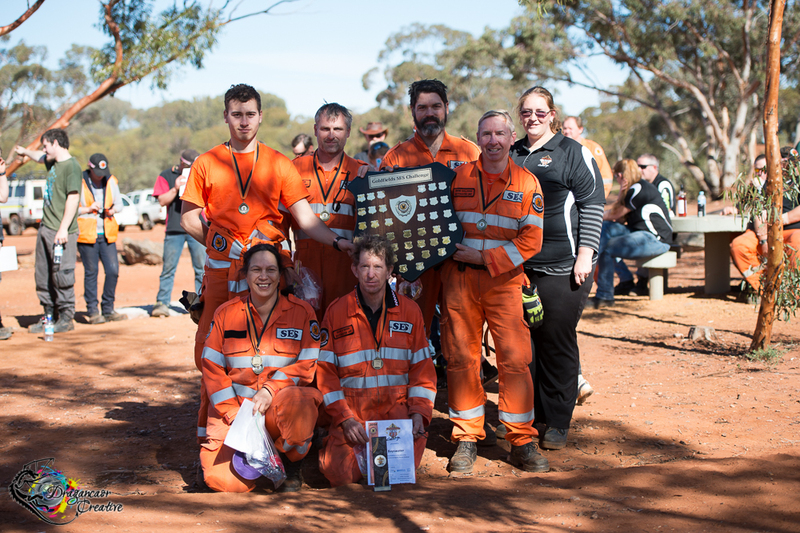 This year, it was held in & around the town of Kalgoorlie. We were based out at Lake Douglas, & had Stands at Cruickshank Sports Arena in Kalgoorlie (open to the public), Kalgoorlie SES Unit, Bindulli Quarry, Mt Hunt, & Lake Douglas. The Challenge tests skills, knowledge and techniques in a team environment, over a variety of scenarios involving Storm Damage, 4 Wheel Drive techniques, Chainsaw Use, Navigation, Communications & Radio, First Aid, Urban Land Search, General Rescue, Road Crash Rescue, & Cliff Rescue. The competition was close & quite intense. Yet despite all that, they were all kicking around having a laugh together around the campfire each night. Especially Sunday night, once all the stands & assessments were over & they were just waiting to find out the final scores!! Congratulations to Bayswater for taking home first place! Stirling went home proudly with second! Kalamunda took home a well-earned third! But, as I mentioned before, the competition was close. The teams from Wanneroo, Canning-South Perth, Gosnells, Rockingham, Swan, & Kalgoorlie very much kept it anyone’s game. Not that Challenge is about winning. It’s about using your knowledge in a realistic yet controlled environment, team work, bonding, & getting hands-on experience. It’s also about forging friendships outside your unit. During large scale call outs, there are often multiple units working on the same job. Sometimes even the teams themselves will be made up of members from different units. Knowing people outside your own unit, can often help with these. Not just working beside someone, but working with a friend. Trust, morale, & support. 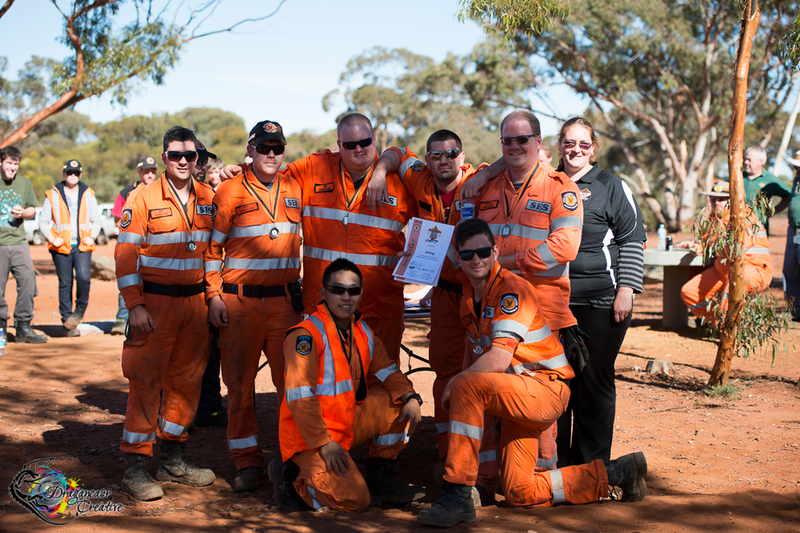 Last night, we showed the video I put together of our SES unit’s experience at this year’s Goldfields SES Challenge. Those members who haven’t been able to attend a Challenge finally got to see what they are made up of, rather than just hear about it & try to imagine. It went down a treat & I’ll be making a shorter version available for viewing online. Now, we’re all looking forward to the Metro Challenge that is scheduled for later this year!